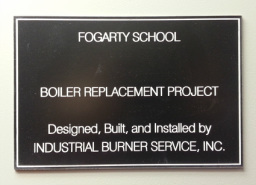 Fogarty School was plagued with leaking sections and obsolete burners. 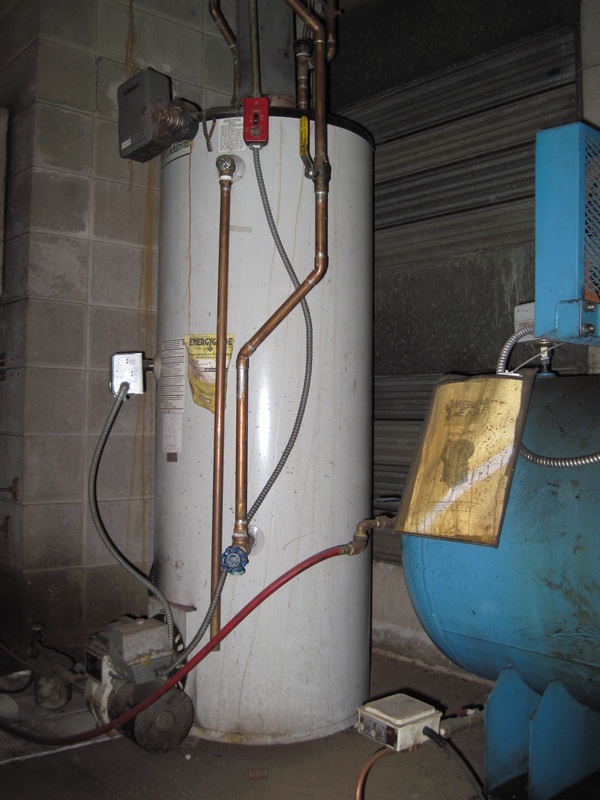 Lengthy downtime and increasingly expensive repairs made a boiler room upgrade the only sensible choice! 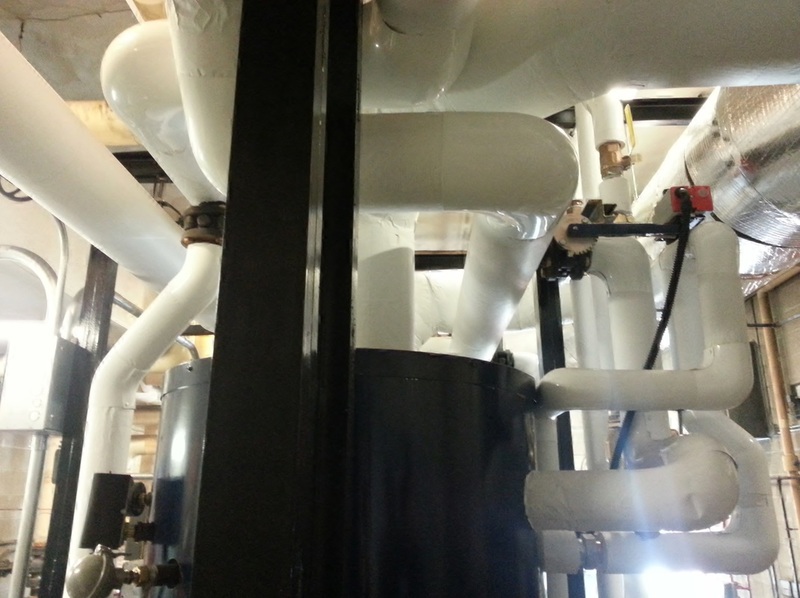 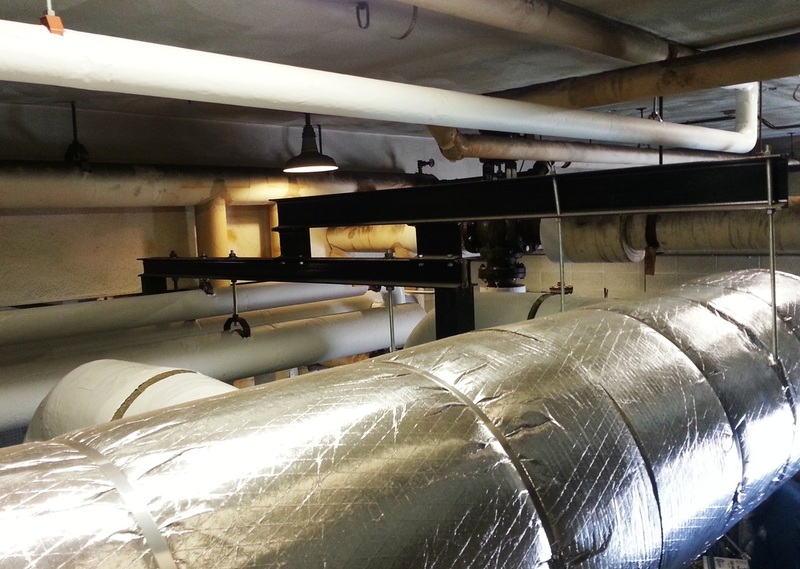 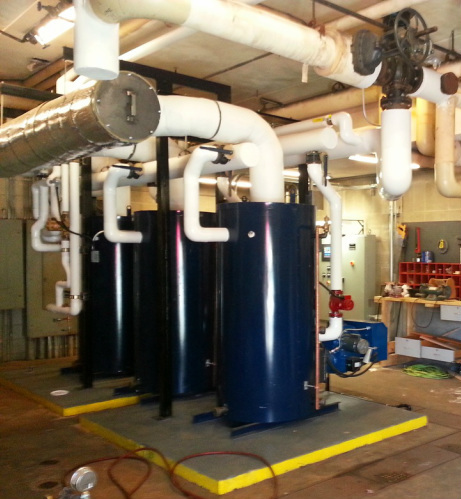 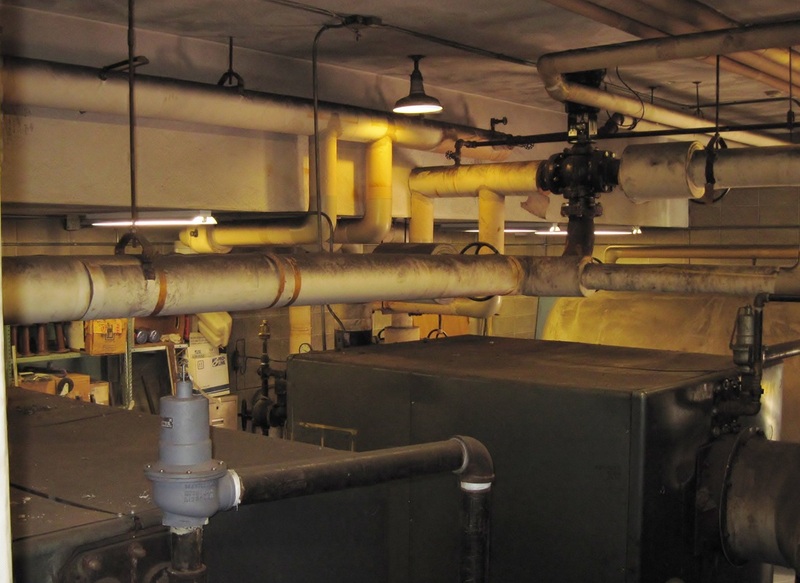 Specifying Triad boilers was an easy decision based on the School Department's satisfaction with Triad boilers at other schools in the district. 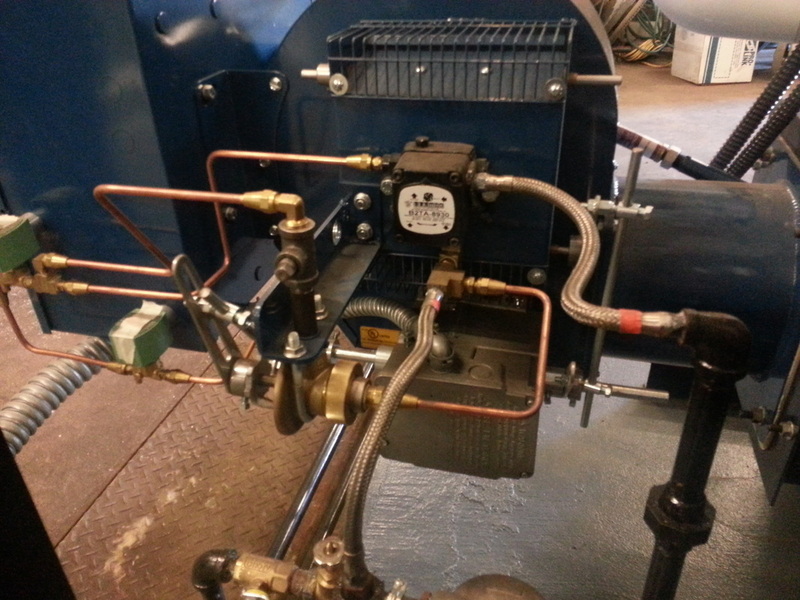 Boiler #3 is equipped with an internal copper coil to produce domestic hot water as well as heat. 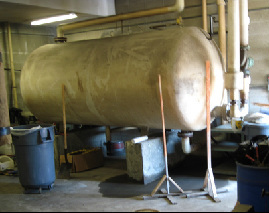 This eliminates the need for and expense of a separate oil-fired water heater and the 1000 gallon hot water storage tank. 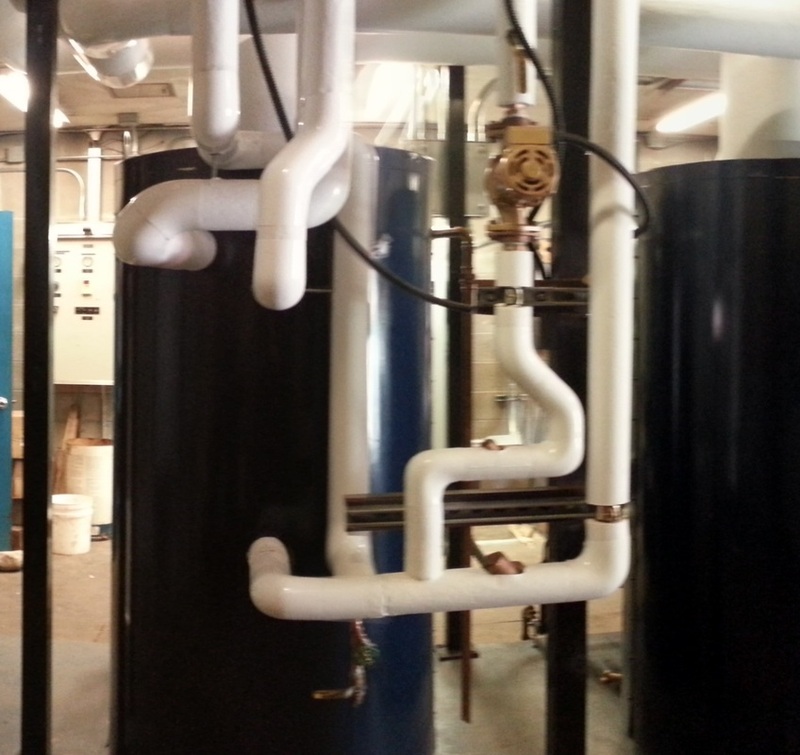 best way to to support the breeching and piping, it gives the job a custom, polished finish. 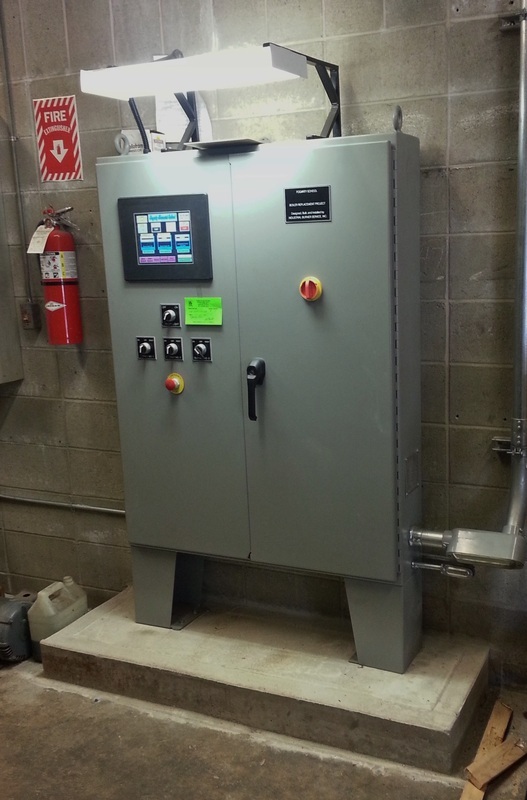 Controls are PLC-based with multiple inputs including outside air temperature, discharge water temperature, and each boiler's water temperature. 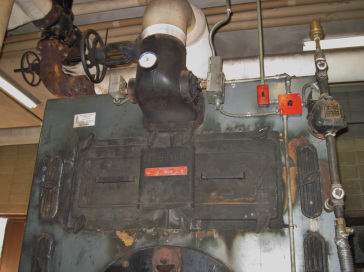 The lead/lag controls automatically alternate boilers and fire only the number of boilers required to carry the load. 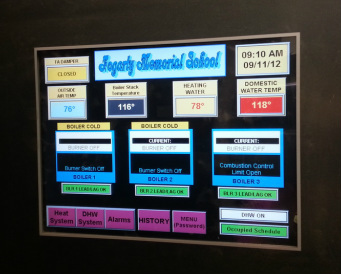 The system is Ethernet ready enabling remote access from any computer via the internet or iPhone.